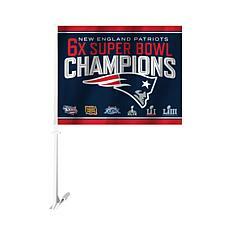 Officially Licensed NFL Super Bowl LIII Champion Car Flag - 2-pack Your team just won the Super Bowl, so display your team spirit proudly with these sturdy team flags from Fulfillment Advantage Ventures. 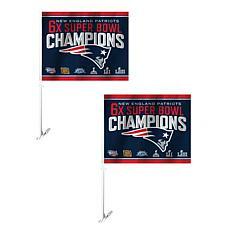 They are brightly decorated in your team's logo and colors along with the Super Bowl LIII logo. 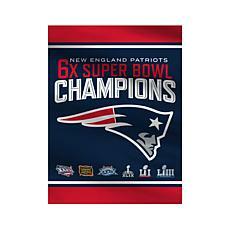 Celebrate your team's Super Bowl victory with this cool two-sided print on heavy duty polyester by Fulfillment Advantage Ventures. It's perfect for indoor or outdoor use. 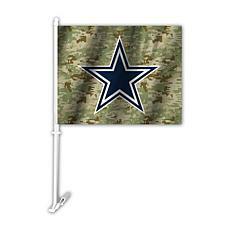 Display it in your man cave, hang it outside your home or take your flag to a Sunday tailgate. 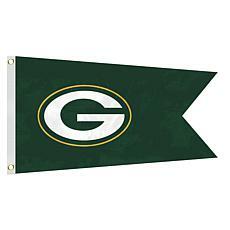 Celebrate your team's Super Bowl victory with this cool flag by Fulfillment Advantage Ventures. 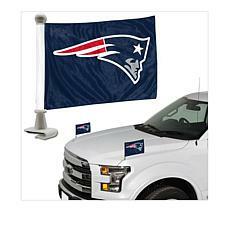 Deck out your car or truck when you're on your way to tailgate. Hail to the champions. 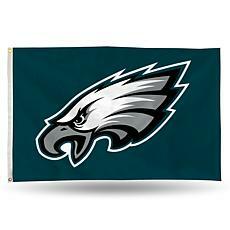 Show off your favorite team by displaying this officially licensed 3' x 5' banner from RICO in your home or office. Team graphics adorn the high-quality banner. Brass grommets are included so the banner can be hung from a flag pole. Made of 100% polyester. Great gift for any true fan!